Blogs is Watching - A Seattle hip-hop lifestyle blog. 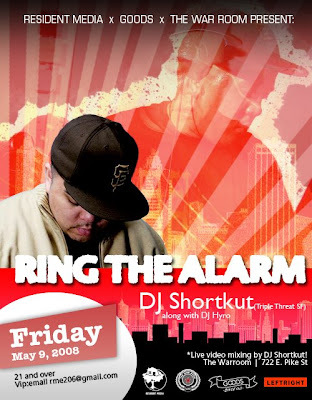 (SEATTLE HIP HOP): Ring The Alarm w/ DJ Shortkut TONIGHT! Ring The Alarm w/ DJ Shortkut TONIGHT!